On the weekends, I’m going to have contributing writers and photographers doing the posts here. It’ll give me a little break to get ready for next week and I feel it’ll give the blog a more varied voice. Today’s contributing writer is Bob Gordon, you can see his photo and bio here (scroll down and you’ll find him.) Okay, lights, camera...Bob! For television fans under the age of forty it's hard to imagine a life without 24 hour programming, over 100 channels and a crystal clear picture. Those who lived through the dinosaur age of pre-wired television know of the agony. We were served four channels via rabbit ear antenna or rooftop receivers. The pure hell was all channels ceased programming after midnight. Typically in Peoria Johnny Carson ran until midnight on WEEK while channels WHOI and WMBD ran reruns of shows like Ironside or Untouchables. After 12:00 the best shot you had was switching to channel 19 to catch Ken Yocum's "Somebody Loves You" followed by the national anthem, and by then it's 12:15 and lights out! I always found it strange when stations signed off they played the national anthem. It was like an odd proud patriotic statement that you were entertained by the likes Captain Kangaroo in the morning and Ben Casey at night. 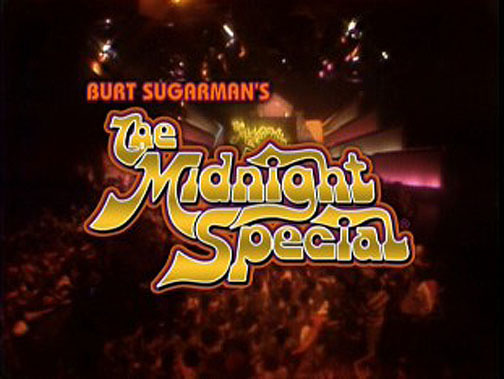 Finally in the early 70's networks on weekends would broadcast music shows like "Midnight Special" and "Don Kirshner's Rock Concert." I was 11-years-old back then and an act like Robin Trower was a little too sophisticated for my WIRL top 40 ears, but it's all I had after 12 o'clock. Eventually I discovered some pretty cool bands via late night TV viewing, but there was something else on the air that was a little more special to me than the Midnight Special. The show that kept me up late into the wee hours on a bleary-eyed Saturday night was the Acri Creature Feature. Now that appealed to my 11 year old sensibilities! Hosted by Quad Cities siding salesman Chuck Acri, the showed broadcast vintage horror and science fiction movies mixed in with comedy sketches and corny horror humor jokes. Similar to Son of Svengoolie that runs in Chicago still to this day. Chuck Acri, the legendary host of Acri Creature Feature. Having cut my teeth at a young age reading magazines like Famous Monsters of Filmland and building Aurora model kits I was in hog heaven being able to see classics only I had seen in photographs. Various versions of Dracula or Frankenstein aired on Acri’s Creature Feature mixed with any sort of big bug invasion. I quickly knew the difference between "She Creature" or "She Beast" and a "Giant Leech" from a "Deadly Mantis." Peoria occasionally would air horror movies on a Saturday afternoon or on Channel 31's "Dialing for Dollars" but it was magical to stay up until midnight waiting for the one Boris Karloff movie you were dying for years to watch. I tried to beat the odds by napping on Saturday afternoons just so I could be assured of not dozing off. A newspaper ad for a special "Spook-In" edition of the Creature Feature. Acri had huge success with the program and it ran until 1977. His hot rod monster car frequented car shows and parades. Skits during commercial breaks consisted of a vampire, Vincent Hedges, hunchback, Emmet; Bertie, the maid and talking skull, Bernie, all the while hyping aluminum siding amidst the corny and creepy madness. The intro theme was the haunting "Windmills of Your Mind," the theme from Steve McQueen's film "Thomas Crown Affair." By the late 70's cable had entered the Peoria market and the concept of 24 hour programming became a reality. Followed by the advent of video tapes, the type of shows like "Acri Creature Feature" that aired nationwide broadcasting late night horror movies started to fade. People now could own the movies and watch them anytime they wanted to. All of a sudden, the anticipation of waiting for a midnight movie was gone with the wind. It was fun while it lasted and I learned a lot about vintage horror movies. I still had the "Midnight Special", I just traded Boris Karloff's "Frankenstein" with Edgar Winter's. Further Reading and viewing: Forgotten Peoria, House of Jitters and The Acri Company. Bonus Photo From The BBC! My friends, Gene, Smoopy and Terry, or as they are collectively known as, The BBC (Baltimore Bar Crawlers) , are in New York City this weekend and for the first time in a couple years, I won't be joining them. These people are serious bar crawlers and in the last email I got from Gene, they had hit over 799 bars since Saturday and have had around 4,893 drinks between the three of them! Gene is going to be the MBIP traveling bar correspondent and will send in a monthly bar crawl post. The first one will air next Sunday and will feature pictures from this weekends crawl. Here's a sample Gene sent me from one of my favorite bars in New York, Molly's Pub and Shebeen! Cheers to the BBC!